One wonders what the Roman Catholic Bishop of the grandly imposing, domed St. Paul’s Cathedral of St. Paul would have thought about that. Crowley could hardly have avoided noting its almost anachronistic dominance of the otherwise thoroughly commercialized capital. It is likely Crowley stayed at the stately thirteen-story Hotel St. Paul on West 5th Street. When he got there he realized he had lost the lapis lazuli, engraved with the V.V.V.V.V. motto and “Eye” from his platinum-lidded seal ring, itself studded with pyramids to represent the City where dwelt the Master of the Temple. Next morning at 10 a.m., Crowley returned to makeshift facilities inside a crowded warehouse on East 4th Street that served as a temporary station for the 200 daily trains. The once impressive, now blackened and part-demolished old Union Depot of 1881 had burned down two years previously. Close to the rubble of the old, Crowley found the lapis lazuli on the platform in seven pieces. The figure seven he found spiritually significant. He put the pieces in a packet into his traveling safe intended for distribution to seven representatives after his death. A year later, he checked for them; they were gone. Crowley associated such unaccountable losses with a kind of payment to, or sign from, inscrutable lords of destiny. With thoughts of that nature occupying his mind, it is little wonder he found St. Paul and Minneapolis “merely magnified markets always open” with “no life of any kind outside business.” He imagined the populous as “poor damned souls” sweating to find a way out “somehow, somewhere.”14 He could barely understand how people could live such closed lives when all about them the elemental grandeur of nature cried out for celebration and spiritual participation. People’s religion went on with interminable proscriptions and moralizing inside European-style buildings, unrelated to the divine creation about them. The cities were colonies, alien and imposed on an environment, which had sent its denizens into themselves, concentrated only on business at hand. 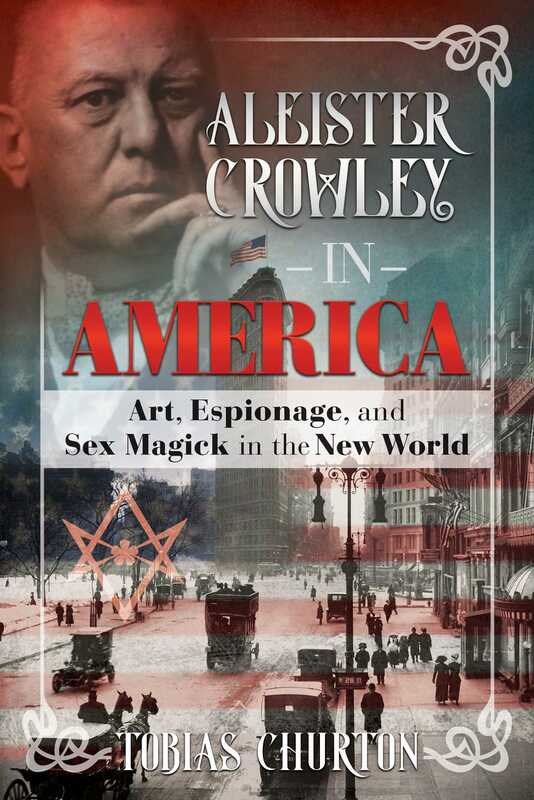 What business had Crowley at hand? He maintained to Viereck that his investigation of “hyphenated-Americans” and non-hyphenated Americans revealed to him that the Midwest had no interest in the war, and could not see it had anything to do with them (oblivious to their economic relationship to the coasts), while German-Americans, he lied, were ready for insurrection and civil war at the right signal. In fact he found non-German-Americans generally against the German cause, but unwilling to consider doing anything about it, while German-Americans were generally not roused to assisting their old homeland’s struggle with the world. It should all be left to Europeans to sort out on their own territories. Between Wednesday, October 13th, and Saturday, October 16th, Crowley covered the 2,000 or so miles of railroad between St. Paul and Vancouver in British Columbia, rumbling on west through what he considered a cultural vacuum in North Dakota and Montana toward Washington State and the Canadian border. It may be that Jeanne Foster did not meet up with Crowley until the 19th, for she does not appear to have been present when Crowley’s train came in at the still-under-construction (and now sadly demolished) Great Northern Vancouver Station at 9:25 a.m. V.I. Bro “Clifford” in a gray overcoat with Malacca cane (was he still suffering from the previous year’s phlebitis?) greeted Jones at the station, then, wasting no time, spent all day with Jones, talking OTO and A...A... business nonstop at Crowley’s billet, the massive chateau-like, eighteen-story high Hotel Vancouver on Howe Street. Now gone forever, we may imagine in another time, Crowley in his suite there, testing Jones on astral projection. The following Tuesday, Very Excellent Soror Hilarion and Very Illustrious Bro Clifford were expected to inspect the Lodge. Before doing so, they met up in the profoundest sense in the Hotel Vancouver at 5:30 p.m. for an Object Crowley noted as “Thanksgiving for my sister and bride, Hilarion.” No other Scarlet Woman would ever again extract this much thanksgiving from Crowley’s amorous heart.